Rice is rich in carbohydrates, low in salt and fat, and is an essential ingredient in every one of the world's major cuisines. This book is an illustrated guide to the grain - understanding it, choosing it and cooking with it. 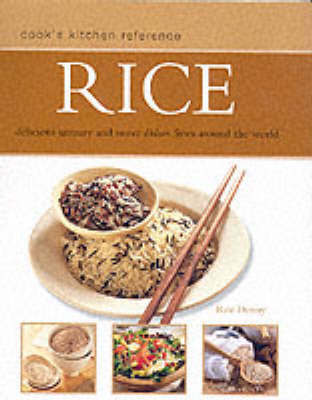 It offers an introduction to the many different types of rice and the different ways of preparing it as well as a comprehensive recipe section with a display of rice dishes. Whether your chosen dish is plain boiled rice, paella, sushi or rice pudding, the book will help you to explore and appreciate the versatility of this highly revered staple food.